Sometimes we come across a style of furniture that catches our eye. We have a limited stock of these reproduction frames in our workshop which can be uniquely upholstered for you. Here are some that are available now. Frames can be supplied to order. The prices here are for collection only from our workshop in Norfolk, should you require delivery please call us on 01603 755 628 to arrange, there maybe a small cost for this service. Attractive dual fabric and leather wing back chair. 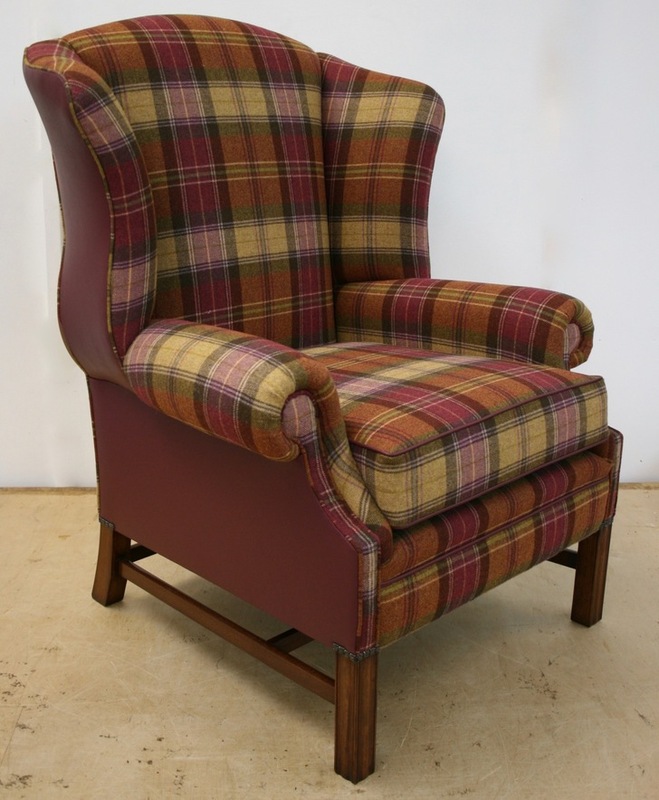 Cosy Linwood wool check front with a luxuriously rich plum hide outback. Beautifully crafted mahogany frame, modern fillings, sumptuous seat cushion. Self piped and finished with bronze renaissance studs. 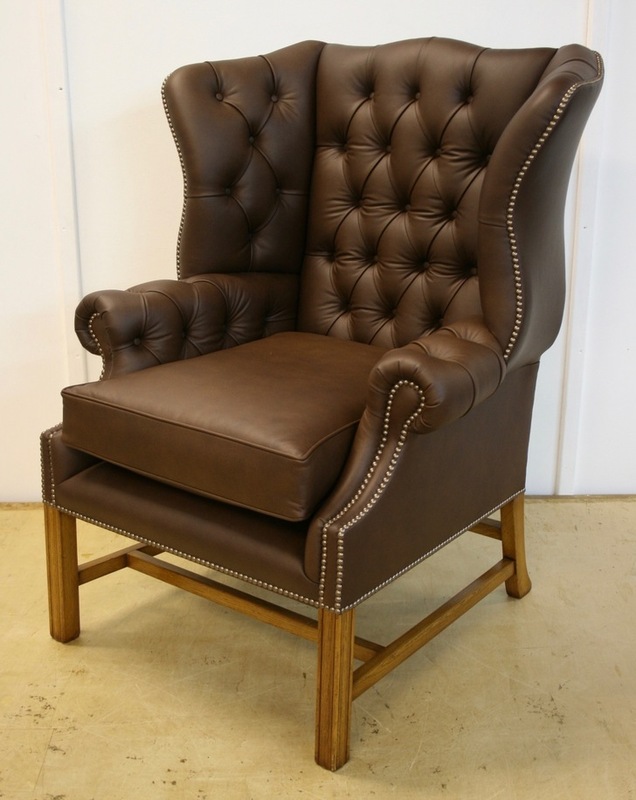 Comfortable deep buttoned, brown leather wing back. High quality handcrafted oak frame. Finished with French natural close studding. 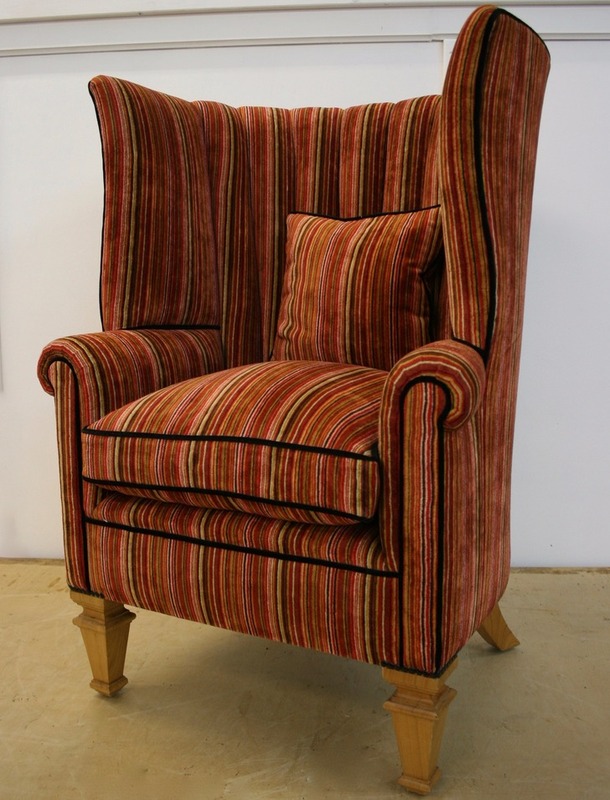 Fluted barrel back wing chair with coil sprung seat. Covered in a luxurious velvet stripe with black velvet piping. Deep feather and down cushion provides extra comfort. Newly Upholstered Napoleon III Style Rope and Tassel Tub Chairs. 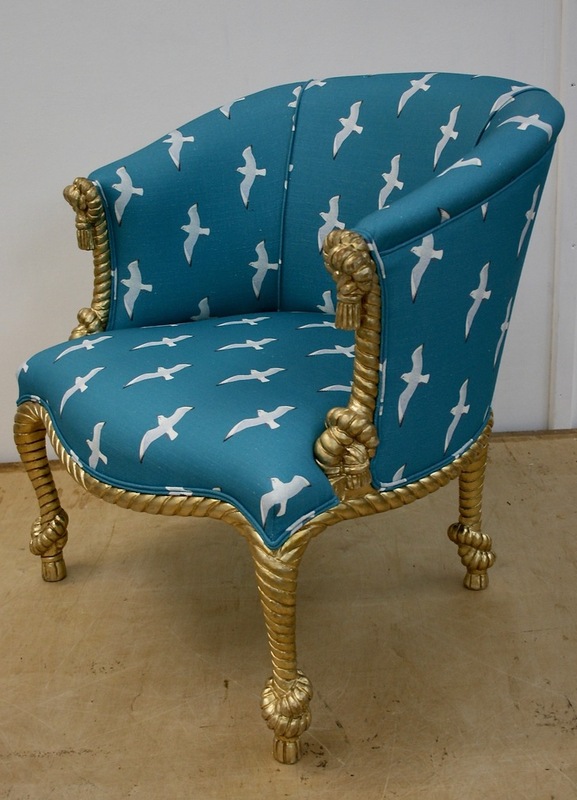 Upholstered in a Cotton Linen Blend exclusively designed by Izabela Peters. 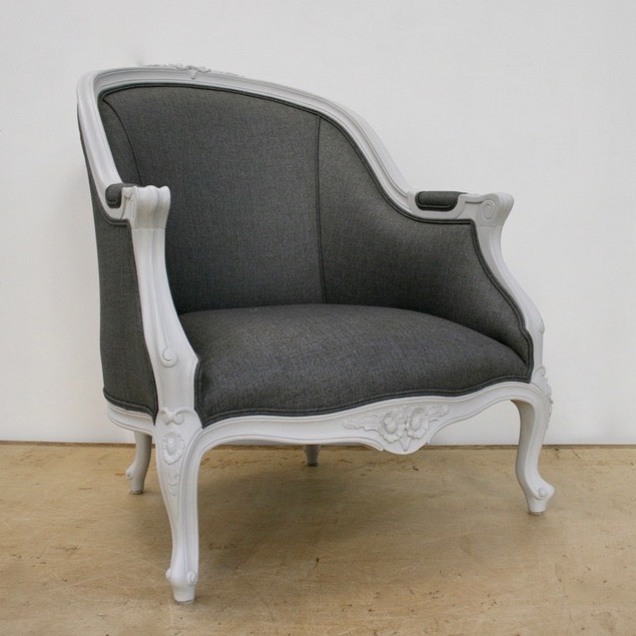 A modern take on a regency tub chair with mahogany legs. Tan leather back with coil sprung seat in a spotty yellow chenille. 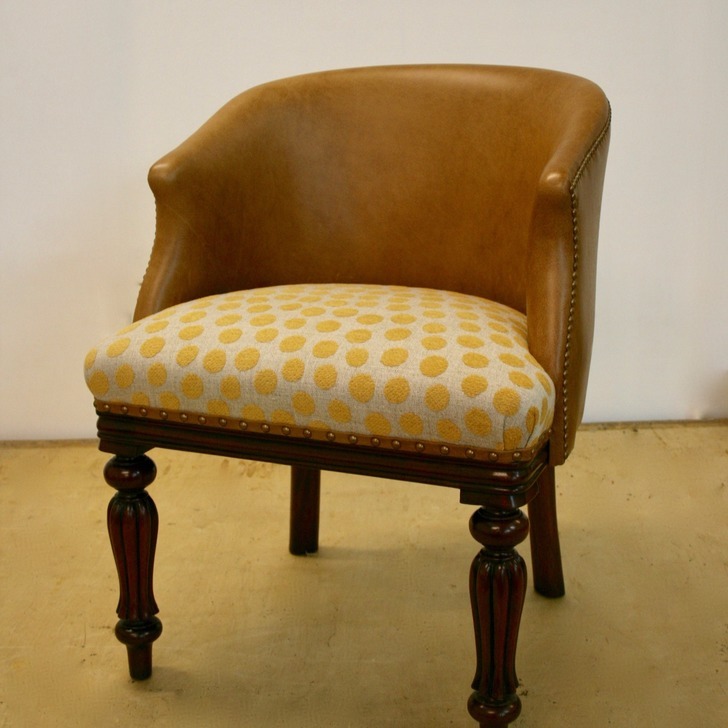 Chair finished with matching tan leather trim and old gold speckled studding. 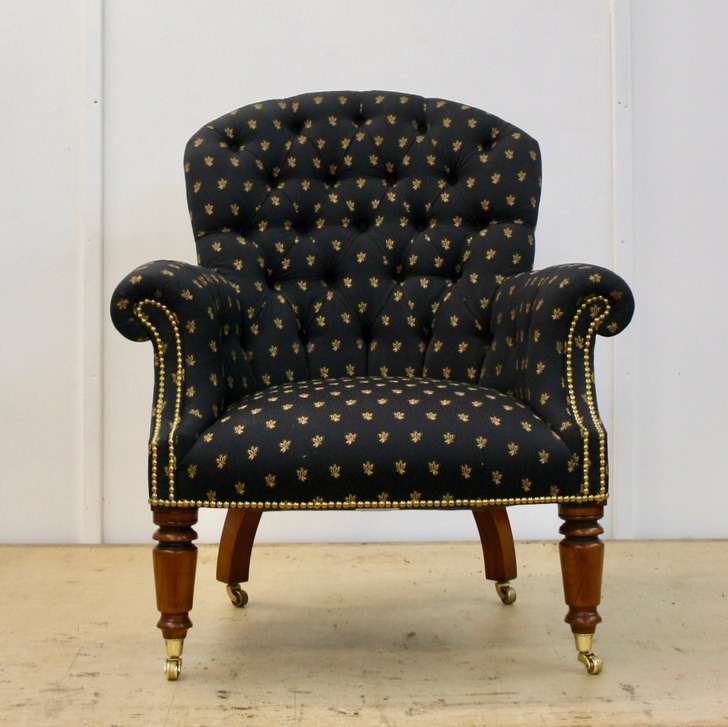 Comfortable armchair covered with a black flat weave fabric with gold motifs. Its turned cherry legs end with brass castors. Features include; scroll arms, deep buttoned back and solid brass studding. 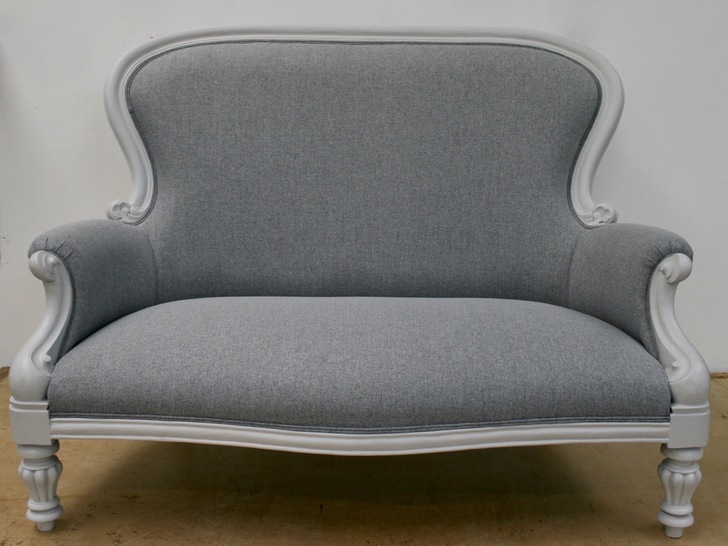 This lovely 2.5 seater scroll arm sofa has fluted legs and hand painted frame. Upholstered in a soft poly cotton weave from Wemyss "Wild Dove" with double piping to match. 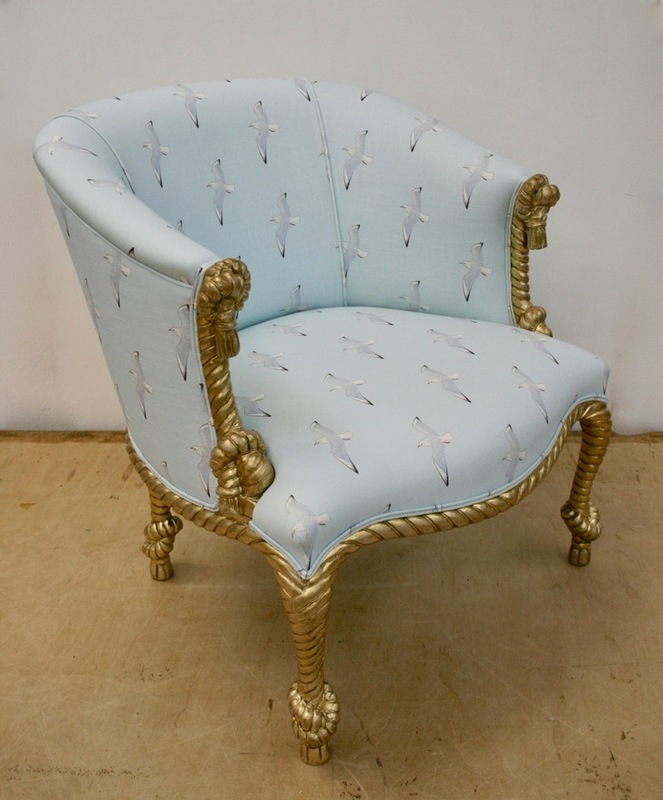 This elegant French Style Lounge Chair has a hand painted frame with contrasting poly cotton weave from Wemyss "Shark" with matching double piping. The simple style of the chair allows it to match the decor in any room.